Karelian art-residency network and art-tourism project is aimed at improving the system of production of contemporary culture services and products in cross-border region through the resources of art-residency network and cross-sectoral approach. 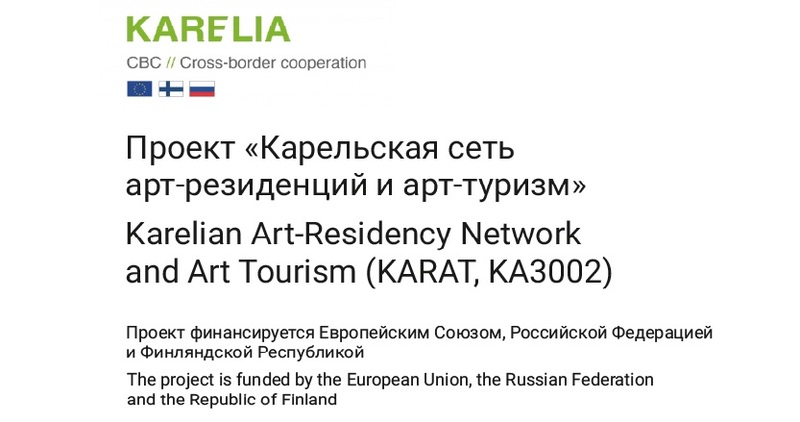 As project result, new art-residency premises and art-residency programmes in Karelia will be opened and new cross-border cultural services (art-tours) will be launched. Models for art residencies in Petrozavodsk, Sortavala and Kostomuksha are developed. The venues for the art residencies. Getting ready for the Art. An interview with the Project member Sergey Terentyev. The project is aimed at creation of new cross-sectoral initiatives, which will be developed through synthesis of contemporary culture and tourism and Karelian art-residency network. Within the framework of this initiative new contemporary culture space will appear in the cross-border region with cross-sectoral and interdisciplinary practice. Karelian art residency network has become a communicative and creative platform for artists and local communities; a mechanism for production and promotion of new cultural services in cross-border region. Professionals in culture and tourism fields on both sides of the border have received new knowledge and skills needed to work with art-residencies and art-tourism field. New cultural products based on cross-sectoral approach in the field of cross-border tourism have been created, marketed and launched to international tourist market. The number of cultural events aimed at both professional artists and local communities will increase that will contribute to attractive cultural environment. Cultural infrastructure improvement will attract more professional artists and culture professionals to work in the region; development of new cultural services for tourists (art-tours) will attract more tourists to the cross-border region. The accessibility of cultural services will increase also for local communities and the involvement of them in contemporary culture will also increase. This will contribute to making people stay in the region, and also will raise interest to new services in the field of art and culture.